Dr. John Park is Director of the Korea Working Group and an Adjunct Lecturer at the Harvard Kennedy School. He is also a faculty affiliate with the Project on Managing the Atom at the Harvard Kennedy School's Belfer Center for Science and International Affairs. He was the 2012–2013 Stanton Nuclear Security Junior Faculty Fellow at MIT's Security Studies Program. He previously directed Northeast Asia Track 1.5 projects at the U.S. Institute of Peace in Washington, D.C. These initiatives include the U.S.-China Project on Crisis Avoidance & Cooperation, the U.S.-ROK-Japan Trilateral Dialogue in Northeast Asia, and the U.S.-China-Japan Dialogue on Risk Reduction & Crisis Prevention. He advises Northeast Asia policy-focused officials at the Departments of Defense, State, and the Treasury, as well as on the National Security Council and Congressional committees. Dr. Park worked at Goldman Sachs, where he specialized in U.S. military privatization financing projects. Prior to that, he was the project leader of the North Korea Analysis Group at the Harvard Kennedy School's Belfer Center. He earlier worked in Goldman Sachs' M&A Advisory Group in Hong Kong and the Boston Consulting Group's Financial Services Practice in Seoul. 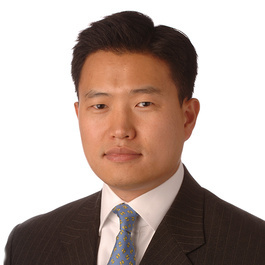 Dr. Park is a commentator on Northeast Asian security issues on CNN, CNBC, and Bloomberg TV. Dr. Park's publications include: "The Key to the North Korean Targeted Sanctions Puzzle," The Washington Quarterly (Fall 2014); "Assessing the Role of Security Assurances in Dealing with North Korea" in Security Assurances and Nuclear Nonproliferation (Stanford University Press, 2012); "North Korea, Inc.: Gaining Insights into North Korean Regime Stability from Recent Commercial Activities" (USIP Working Paper, May 2009); and "North Korea's Nuclear Policy Behavior: Deterrence and Leverage," in The Long Shadow: Nuclear Weapons and Security in 21st Century Asia (Stanford University Press, 2008). His current research focuses on the North Korean regime's accumulated learning in evading targeted sanctions. Dr. Park received his M.Phil. and Ph.D. from Cambridge University and completed his pre-doctoral and post-doctoral training at the Harvard Kennedy School's Belfer Center.